The Internet is down in Syria again. Reports are coming in from various organizations that monitor that country, showing that traffic to its networks has once again fallen to zero. 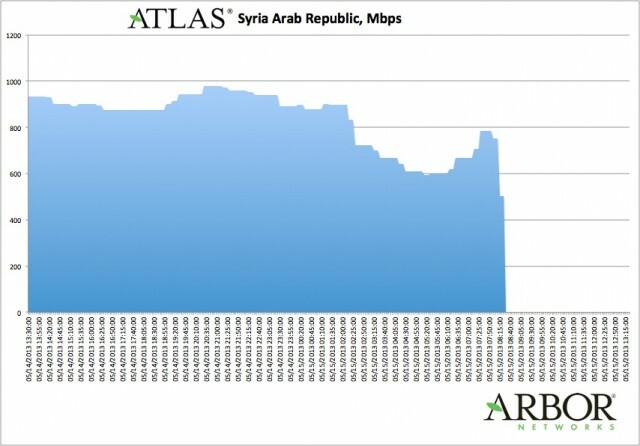 This would be the second time in as many weeks that Syria’s Internet connections have been cut off, and the fourth time in recent memory. The last time was May 7, and the first time was last November. According to Syrian Digital Reports, the outage began at about 10 am local time. #Syriablackout #Syria went offline for the second time in one week. The blackout began at 10:00 am local time according to @SecDev. 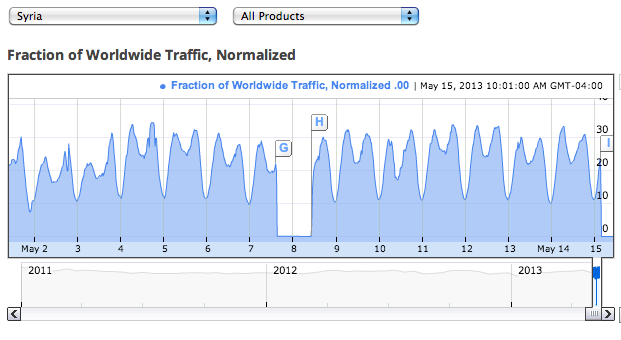 Google’s Transparency Report has confirmed the outage, as has Arbor Networks, which has also monitored the sudden stoppage of traffic. 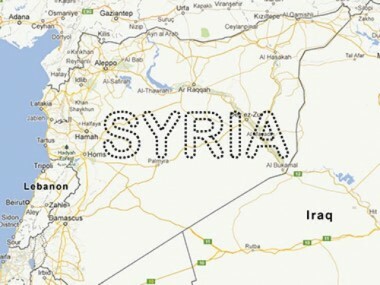 Remember that all four Internet connections that come into Syria are routed through a single building in Damascus, the Syrian Telecommunications Establishment. So the act of withdrawing its network from the global routing tables can only be done in one place. 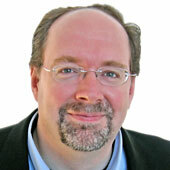 Certain routers are temporarily reconfigured so as to stop announcing themselves to the rest of the world. Last week’s outage lasted the better part of two days, and there are tentative signs that a few people knew that it was coming and may have tweeted about it. Update: That was a short outage. Syrian Digital Reports says service is coming back now.